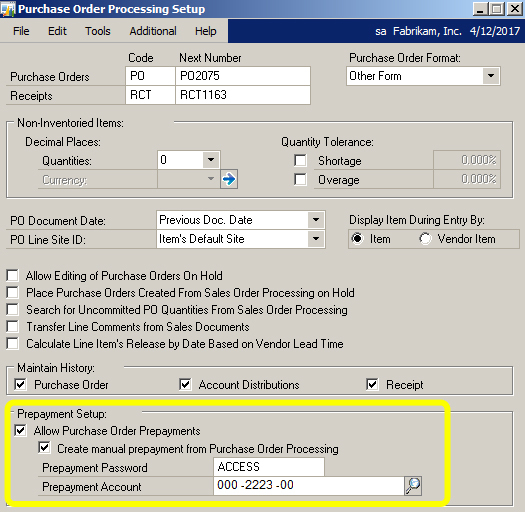 The purchase Order Prepayment feature is a great new feature added to GP2013. 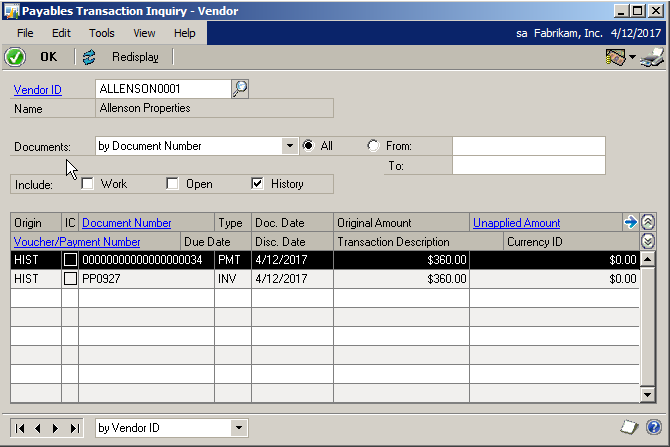 The purchase Order Processing Setup window has a setting to allow prepayments and to assign the prepayment posting account. 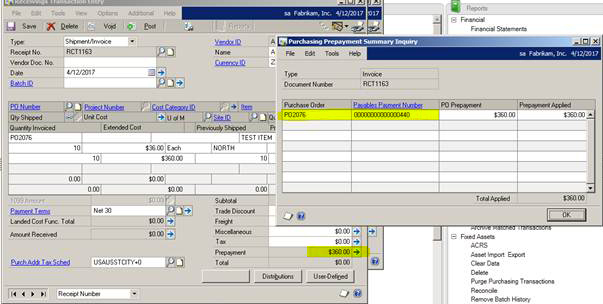 The prepayment amount is set on the Purchase Order entry screen. The red hash marks just note that the prepayment amount has not yet been paid. Once the check is posted the hash marks go away. 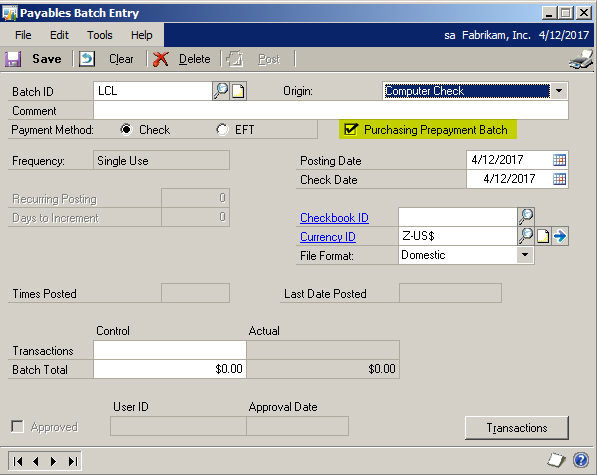 The General Ledger impact for the prepayment will happen when a Payables Check batch is created and you choose to pay prepayment, or when you close the PO window if you choose to do a manual payment. As a result the check will reflect the PO number as the document number. If you have more than one PO to the same vendor with prepayment amounts, this check run will print one check per Purchase Order. 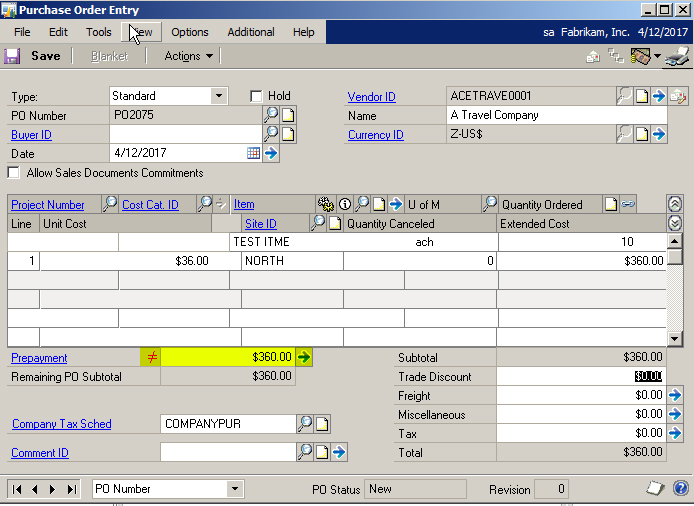 When you enter the invoice, the prepayment amount is automatically assigned to the PO. You can apply multiple invoices against the prepayment. The one challenge I have is on the prepayment document in the inquiry screen, I identify the PO that it created. The table that holds the prepayments and remaining balances is POP10170. 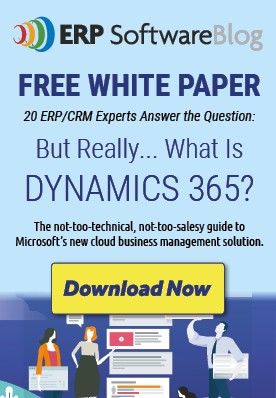 If you're ready to upgrade your current business management system, what better time than now to upgrade to Microsoft Dynamics GP 2013! To learn more about business solutions offered by InterDyn BMI click here or contact us. We have an open purchase order that we need to close out but because another purchase order was created for a pre payment and linked to the PO we need to close out we are unable to do this. Is there a way we can unlink the prepayment from the open PO we want to close? 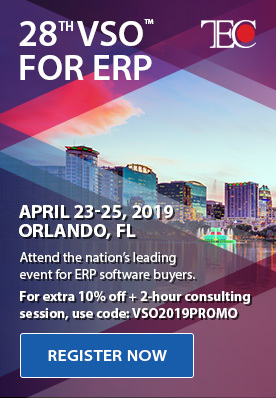 The prepayment amount cannot be greater that the purchase order’s subtotal amount less trade discount – now that wasn’t very smart on MS’s behalf, what that means is you cannot prepay any taxes/misc or Freight amounts.